It’s that time of year again; the weather’s miserable, tear-jerking Christmas ads are back on the telly, and everyone in British retail is trying to decide what to do about Black Friday. This year, there’s definitely a bit of Black Friday backlash in the air. Fuelled by snobbery and perhaps a British stiff upper lip, some Marketing Directors seem to think it’s all a bit tactical and beneath them. For or against Black Friday? It is not in the industry’s interest to focus so much trade onto one day. You want more steady trade and obviously you want more of it at full price. It’s hard to ignore. 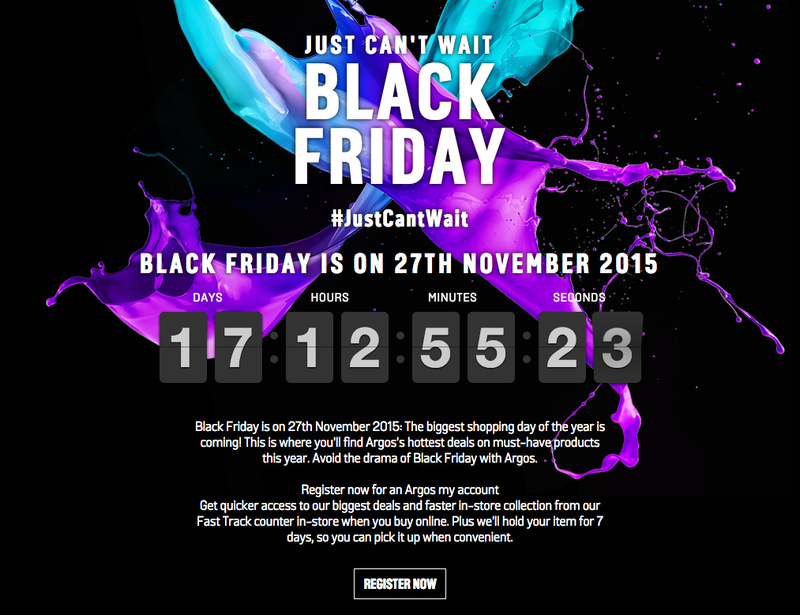 Black Friday is predicted to be a £1bn trading day (Salmon, Experian and IMRG all say so). Consumers love it. 96% of Black Friday’s 2014 purchasers said they were happy or very happy with what they bought (via Retail Week). It’s the big one! IMRG estimated £810m was spent online on Black Friday last year – the biggest ever day for UK online sales. For those that missed the analysis Econsultancy and Hitwise did last year, here are the Black Friday traffic statistics for all major UK retailers. It’s a global gold rush. Not just in the UK and US. The phenomenon in spreading to Asia and Africa; a client of ours in Nigeria received a staggering 1,440% year-on-year increase in online revenue with a domestic version of Black Friday activity. The big spenders will be out in force. Luxury consumers are 4.7x more likely to search for Black Friday (Experian). Don’t disappoint. You risk disappointing your customers if you don’t engage. Black Friday cannibalises Christmas sales. According to e-Digital Research, 30% of UK online shoppers say they’ll buy on 27 November this year – compared to 8% last year. Margin. What’s the cost? If you go for it, sales might increase, but will consumers ultimately spend more? Discounting often comes at a cost to margin. For retailers, demand can prove too much. Site outages, slow page load and annoying queuing systems are not going to endear you to your customers. In 2014 Tesco, Argos and Boots reported problems with their websites on the big day. You need IT platforms that can perform under the heaviest of peak loads. What about supply chain bandwidth? Are there enough lorry drivers? Can demand be met? Don’t forget that customers will be disappointed if logistics melt and delivery is slow or muddled. Needy is not a good look. Jumping on this particular bandwagon can appear rather… tactical. Which way will we jump? Trading at Argos during this year’s important Christmas season seems less predictable than usual, as both retailers and customers determine whether to repeat last year’s unusual Black Friday patterns. So whether or not you’re planning ‘to do’ Black Friday this year, it seems the best way to deal with this encroaching American tradition is to adopt the best in British traditions – approach calmly and be prepared. 1. Have a plan and stick to it. Retailers can approach Black Friday in one of several different ways. Plan A: We are not doing Black Friday. 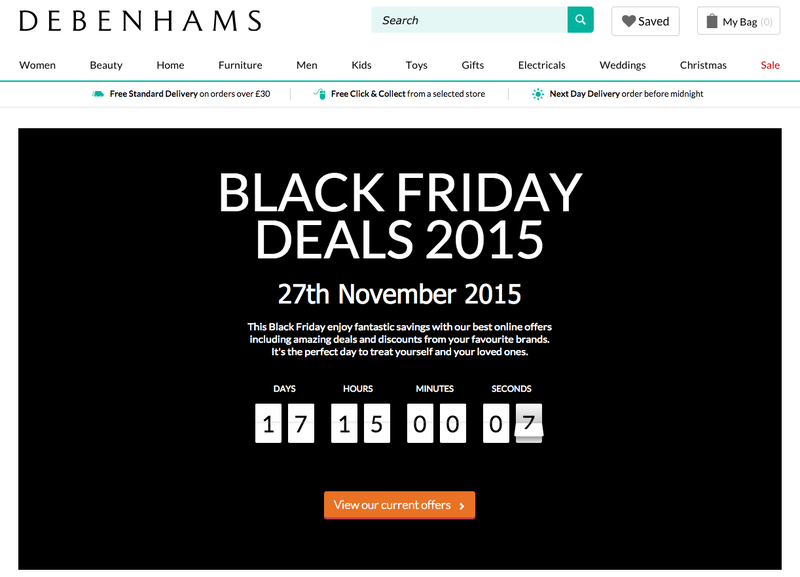 Plan B: We might do Black Friday if Debenhams do. Plan C: Okay change the homepage, we’ll put a few things 20% off. 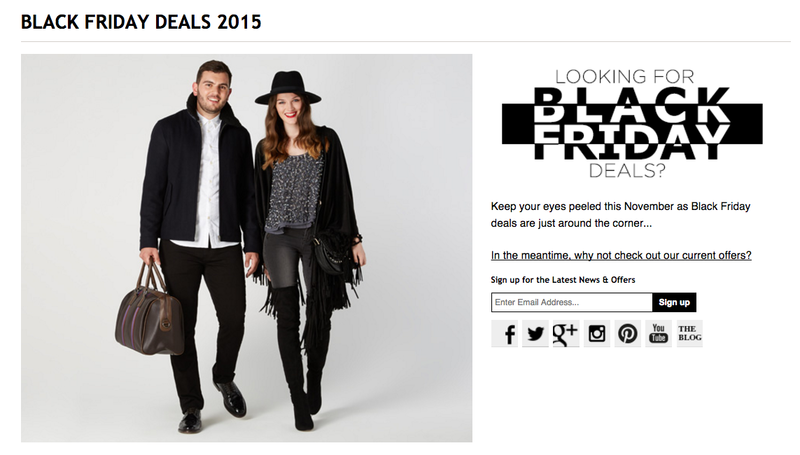 Plan D: F$%k, ASOS & Selfridges have joined in, launch the Black Friday missiles! Whatever you decide make sure everyone in the business knows you have a plan(s) – and what it is. Do you know your capacity? Have you forecasted targets? Have you thought about website load, stock, supply network, warehouse, click and collect? 3. Have you got a contingency plan? What can you switch off? Can you slow down orders? Do you need to offer only mainland delivery, can you just concentrate on London? What time will the sale go live? What time is the TV ad scheduled for? What advanced notice will staff and customers receive? Statistics show 7am to 10am on Black Friday, and 7pm to 10pm on Cyber Monday will be the peak traffic times. Black Friday will be the peak day for mobile transactions, with predictions of 23% on a mobile device (Adobe). Ensure your mobile marketing, website and app are fully prepared. Consistency across all channels is key. Don’t just rely on your email database or a few tweets. Amplify across all marcoms and especially digital – affiliate, display, PPC, SEO (yes SEO!) and social all need to be aligned. 7. Prepare your media budget. How scalable is it? What if one big affiliate is performing well, how do you further incentify to push harder, do you have a contingency PPC budget if the demand continues? What opportunistic marketing can you do? Hijack a brand that isn’t? Or their TV advertising via the second screen? 8. What’s your product/sale mix? Have this agreed well in advance? Hourly discounts? Percentage off? Hot Hero products? Don’t forget your basic sales principles in all the excitement. Use peak traffic periods to sell bundles, sell the accessories that go alongside the hero product. Push both gifting and self-purchase (gifting for yourself). …have all the key people together. Agree and know accountability, prepare for regular and short communications on activity. React quickly to issues and schedule breaks for all the various teams. Opinion may be divided on whether or not Black Friday and Cyber Monday are welcome additions to the UK retail calendar. The jury is still out on whether it is good or bad for sales, logistics and, ultimately, customers. But the momentum is such that it may be difficult to abstain. And if you do, what if your closest competitors don’t?